[Samuel Clay] is the chronicler of this art installation build. 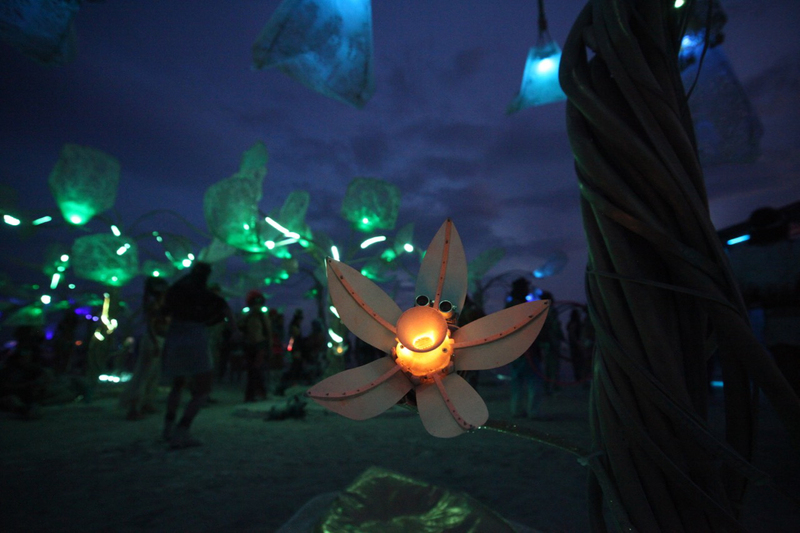 In fact, [Sam] and many of the others on the team worked on the Pulse & Bloom installation at Burning Man 2014 — a bouquet of lotus flower sculptures that would react to your heartbeat. He’s provided the code and schematics on GitHub to guide any other artist-makers out there that are similarly inspired. This was super cool. I found a broken one, though :( looked like someone had run into the sensors with a bike or a sledgehammer (you never know). Pretty delicate assembly. Really cool hangout place! How is this a hack again? Just pretend this site is called Neatthingsaday and move on already. 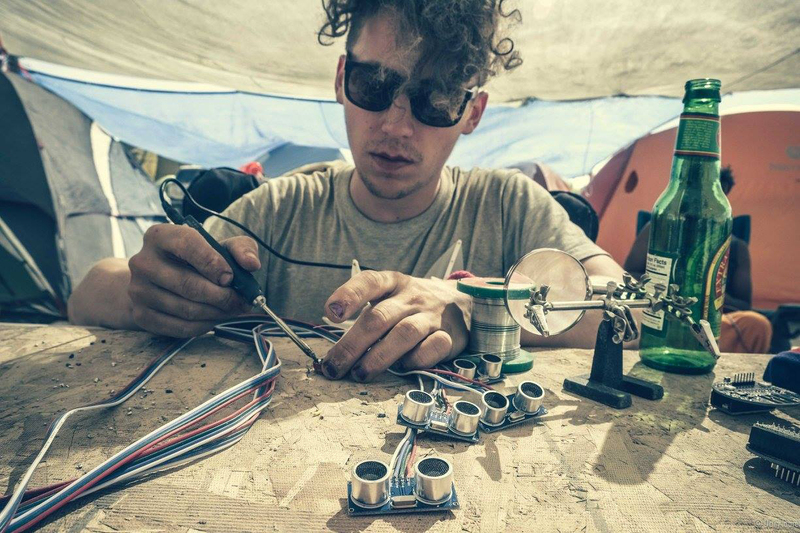 The picture of the guy with a beer and a soldering iron fixing it on site not enough for you? He looks to be hacking away at it with full gusto. Maybe in the future, consider keeping irreverent negative comments to yourself. It would be way cooler if it analysed partaken pharmaceuticals from exhaled breakdown products, collected DNA, took a picture and filed it all securely for later blackmail…. Oh, man. Better look out. I think there are some millennials on your lawn. They’re out there saying people who are different from you have rights. Better go shut that down real quick. Burning Man. Where a late 30’s/early 40’s man can still easily score with early 20 women. All you need is a repaint and some funky welds on the same old box truck you’ve been driving to BM for the last decade, change the light ropes, bring some recreationals, and that’s pretty much it. Everything else is expensive pretense. Or for a very few, a torture test where engineers learn a few things about “environment” and now Nature pretty much wants to kill everything electronic you build if you give it a chance.